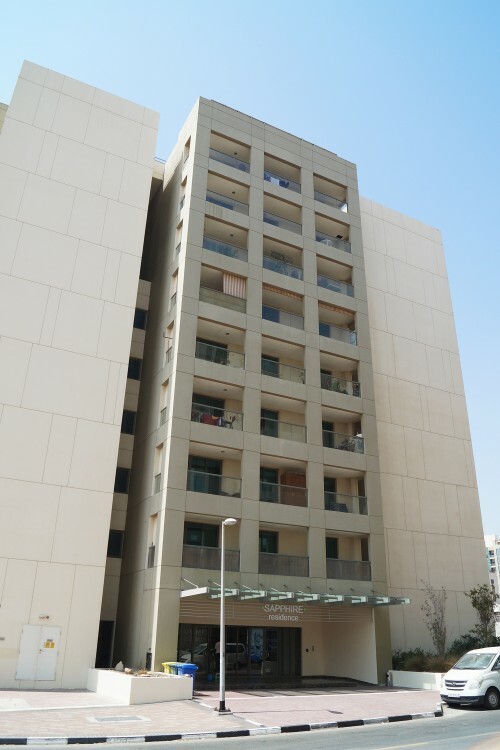 Sapphire Residence is a nine-storey apartment building in Silicon Oasis developed by Deyaar and designed by LaCasa architects. The building contains 90 one- and two-bedroom apartments. Amenities include an open air leisure deck in the courtyard that includes a swimming pool, garden and a barbeque area. There is also a multi-purpose hall and well equipped health club, along with ample parking space and 24-hour security. The development was launched in ‎2007 and the building completed in 2009.